Renault may be a relatively new brand for cars in India, but it’s a recognized name in the world of European Automobile Industry. Renault recently launched 3 models specifically in 3 different segments for Indian roads like the Renault Pulse, the Renault Koleos, and Renault Fluence. How many times have you heard that a company, let alone a car maker, celebrates the golden jubilee of their most popular sports car by launching another one? Well, Renault did and how! 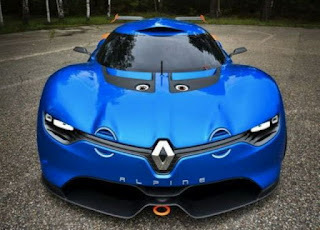 The French company unveiled its newest creation – a really mean looking & powerful sports car – the Alpine A110-50. The Alpine A110 has been introduced to mark the success of the, now, legendary Alpine sports car that was fitted with a Renault-engine back in the Sixties and Seventies and that went on to win the inaugural World Rally Championship in 1973. The Alpine A110-50 by Renault is a sports car in the true sense of the term and the company is more than likely to utilize a completely new platform, while keeping the weight of the car less than a ton and is powered by…hold your breath…a 3.5-Litre, 24-Valve V6 engine that sends 400BHP to the rear wheels and 422Nm torque and the engine is mounted in the middle of the rear side of the vehicle and married to a semi-automatic 6-speed sequential gearbox. The Alpine A110-50 is fitted with a twin-plate clutch and the operation of this plate is interesting. The driver can push the clutch pedal or then use a paddle that’s fitted on the steering wheel!! 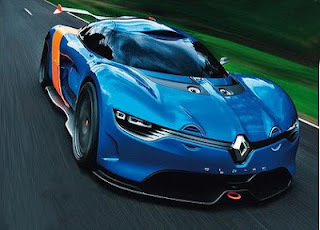 If the design of the Alpine resembles another Renault concept car called DeZir, then you are pretty much on track. The new 2-seater sports car draws its inspiration from DeZir’s shape and makes it its own along with other race worthy bits like NACA duct, carbon fibre…carbon fibre, big wings, and cues from the legend Alpine in terms of LED rings on either side as well as new inboard headlights. 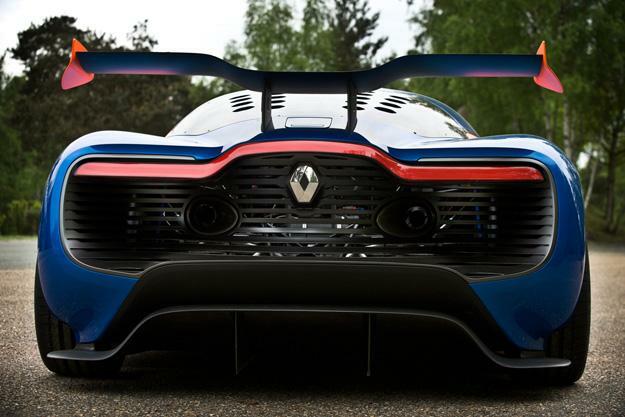 Looks and elements aside, what really is interesting about the Renault Alpine A110-50 is its use of carbon air intake to enhance the power of the sports car’s engine by offering additional HP at all engine speeds. Currently, the Renault Alpine A110-50 needs a network to become a reality and accordingly to insiders, the company is interested in tying up with Nissan to make it road worthy. For now, we can only hope that we get to see this awesome car on the road and really soon!